Home / Uncategories / Federal Government Of Nigeria Finally Hands Over State House Marine To Lagos State Government. Federal Government Of Nigeria Finally Hands Over State House Marine To Lagos State Government. 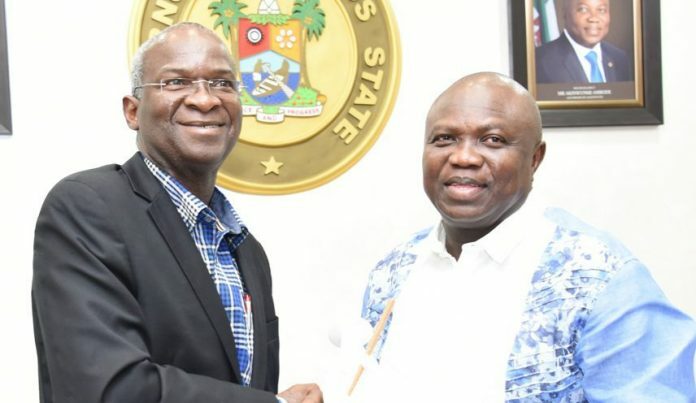 The Federal Government on Tuesday completed the process of handing over the State House, Marina to the Lagos State Government. The process which started about 20 years ago was completed with the signing and exchanging of documents between the state government and the Federal Government in Abuja. The Lagos State Governor, Mr. Akinwunmi Ambode, signed for the state government while the Minister of Power, Works and Housing, Mr. Babatunde Fashola, signed on behalf of the Federal Government.